From our beginning over 39 years ago, we have been a patient driven practice. 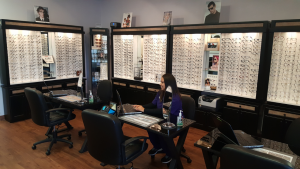 Everything from our thorough eye examination, advanced technology and instrumentation, on premises lab, wide selection of eyewear and contact lenses, to our convenient evening and Saturday hours is for the benefit of our patients. 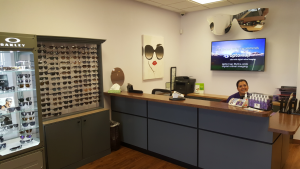 Family Vision Center was one of the first practices in Ventura county to offer important technology like visual fields and retinal videography as a standard part of a comprehensive eye examination. Our latest addition to our instrumentation, the OPTOS DAYTONA, is offered as an alternative to dilation thus reducing the discomfort of drops and enlarged pupils associated with it. Fortunately our patients have appreciated our efforts and have consistently selected us as a Readers’ Choice / Favorite in the Star Press every year for the last 20 years. Contact our eye care clinic today to find out how we can provide you with excellent eyecare. Our practice is located a short drive from Santa Paula, and we are happy to offer our eye care services to children and adults in the area.